Deposit (40 USD) made with Batman Begins payment. Invoice for remainder still to come. 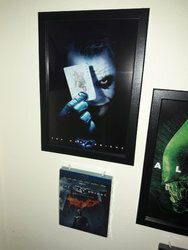 I always thought the batpod poster would make a great lenticular. The trouble is that almost any image from this film will be really dark--and that's typically not so good for lenticular. I'll be interested to see how they make this work. No Jonny, don't do it! limited stock remaining - act now! i forgot about that viral art, loved that whole campaign, one of the best ever for a modern film IMHO. how about the 'Why so serious?' poster as a PET slip? the character posters as a lenti, sure! ...with anticipation! gonna have to wait a while, though, i am sure. My favorite is the Japan white steelbook. Hopefully, something similar to it. Then they can use whatever on the slipbox. I prefer a deep lenticular card instead of a transitional one. I have a custom Lenticular with this imagery...and I can tell you it isn't too dark. In fact - it is quite awesome!! 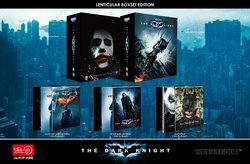 Christopher Nolan Batman Trilogy, 4K, bonus disc... = TAKE MY MONEY!!! 1 x to the UK please . 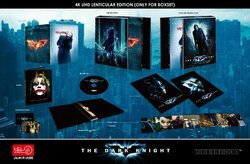 I strongly recommend that HDZeta take this opportunity to create a special ultimate trilogy boxset edition that includes unique aspects so that they give collectors a TRUE ultimate trilogy for this franchise. Keep it at about 2,000 print run (enough for everyone but also not too high) and make it AWESOME. 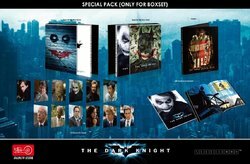 I guarantee there are not many collectors that want less than all 3 of these movies. 99% of collectors will want the set. If not, then as an option B, I recommend a special box sold separately that will house 3 double lenticulars in one awesome package. Cmon HDZeta.. we're counting on you for this one!! I'd actually go for a boxed set of just the first two. But I'll be perfectly content with only TDK. 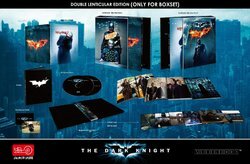 Yes I would prefer one boxset with the trilogy aswell. December? Ergh! That may mean that HD Zeta are going to put this up for order around time maybe?